February 2019 – Have We Had Help? Greetings dear fans and writers. Where did we leave off the last time? Oh yes. You had honed your draft, left it to brew …speaking of. Where’s my tea? Ah, that’s better. There is nothing nicer than a cup of tea when chatting. The next important step, darlings, is to send the manuscript in all it’s glory to your beta readers. Before you scream at me that you know this already, hear me out. Beta readers are worth their weight in tea and you should honor and applaud them. If you are lucky they will point out where the story deviates from the plot or meanders through a meadow filled with wildflowers and butterflies. Yes, beautiful isn’t it. Now concentrate. Futher to my previous Post I’m now re-reading Race Against Time’s follow up ‘The Forgotten Age’ (click on its cover above to find it on Amazon.com). Once again it is another Nick Palmer tale. By now it will come as no surprise to the more discerning among you that like Race, once it proved popular, inevitably it incurred the wrath of some complete idiots as you will see if you peruse what remains of the reviews, particularly those with one star. It has to be admitted that living just south of the Lake District, I’m in a really beautiful part of the world. Furness itself with the fells, lowlands, beaches and sea takes a lot of beating, and what’s more the rather ostentatious charms of the Lake District make sure the tourists swarm round the honey pots to our north and don’t clutter up our area. But yesterday I had to go into the Lake District and due to a road being open which was supposedly still closed; I arrived an hour early for a meeting so just headed straight up onto the fells. Persimmons – Taste too early and you’ll come away with a mouth full of tannin!!! It was a good thing parents never knew the risky things their offspring did growing up. Why did kids do such things? Because kids were kids. Part of being a kid was being impulsive. The rest, because of peer pressure. Bicycles ridden across a frozen pond. Sled-riding down a hill and across the same pond. The sled picked up speed on the ice. No thought given to breaking through the ice. 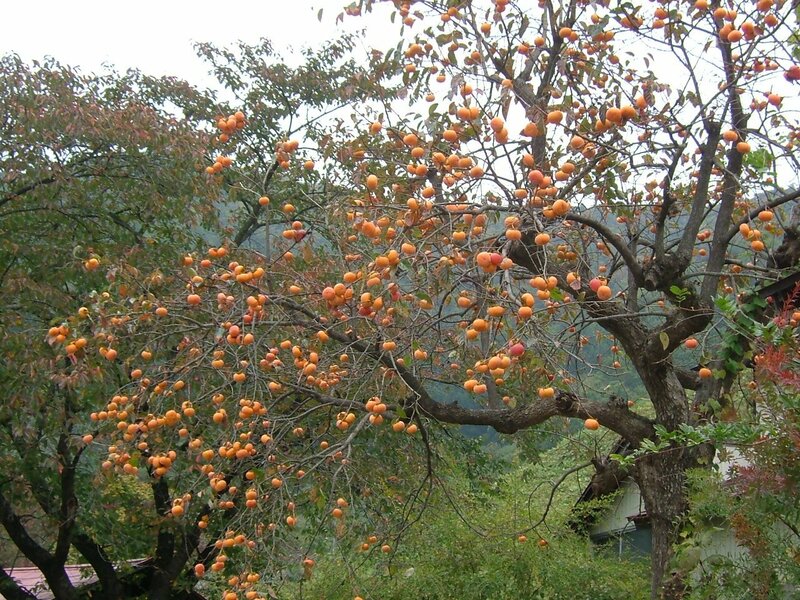 Wild persimmon trees grew everywhere. Ripe persimmons were sweet. Green ones were sour, bitter, and puckered your mouth. The unsuspecting, double-dog dared to taste, just one. Green persimmons were instruments of torture, when in the hands of upper classmen. Why had God made such terrible tasting fruit? Why were older kids so mean? …it was the right story at the right time. Read the first chapter! You never know, you may actually learn something about why it became an Indie success story back in 2012-13, exceeding 250,000 sales. If you have actually been reading my posts, and not merely clicking ‘Like’, or ignoring them altogether as so many do these days, you will know I’ve been busy re-jigging my 2012 best selling short novel (61,954 words) The Seventh Age, a tale involving a race against time itself, with a science fiction slant. While I’m reading it through once again looking for any errors I missed during the re-write, prior to republishing it on Amazon, here is the first chapter. As I have started to read again, after a long break, and because I was reading a book in bed before I went to sleep last night, it is understandable that I woke up today thinking about that subject. I am not getting on that well with electronic reading. On the plus side, it is great to be able to read an ‘illuminated page’, with no need for additional lighting. And I can store a lot of books on something the size of an A4 sheet of paper. The downside for me is that the page-turning feature can be over-sensitive, frequently flipping back to previously read pages without warning. It also freezes up more that I am happy with, leaving me having to restart, to return to the last page I was reading.